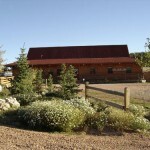 The Pikes Peak Historical Society Museum is located at 18033 Teller County Road #1, across from the Florissant Post Office. 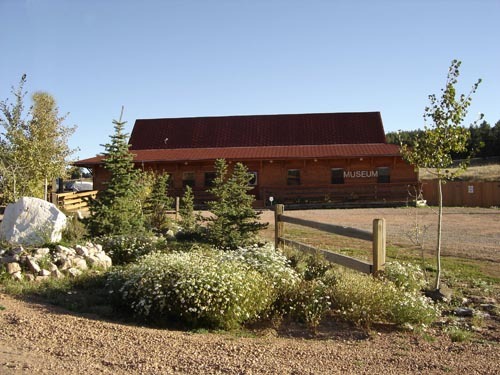 The 2600 square foot Museum was opened in August, 2005 and offers visitors an entertaining and educational tour of the Pikes Peak region, from early explorers to Ute Indians and Mountain men to the early pioneers, railroads, and gold rush. Unique rocks, minerals, and fossils from the Florissant Lineament provide one of the richest geological exhibits in the Pikes Peak region. 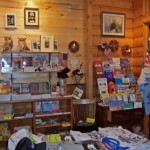 The Museum is open year round and admission is free. From Memorial Day until Labor day, the Museum is open FRIDAY, SATURDAY AND MONDAY from 10 am to 4 pm and SUNDAY 1 pm to 4 pm. For WINTER HOURS and more information, call (719) 748-8259. 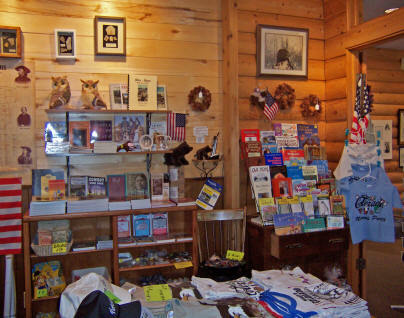 In addition, the Museum Gift shop located in the museum at 18033 Teller County Road features beadwork and other crafts from the Northern Ute Indians, as well as books and other handmade crafts and goods. To volunteer at the museum as a docent please call Sheila Naviasky at 719-748-0102. 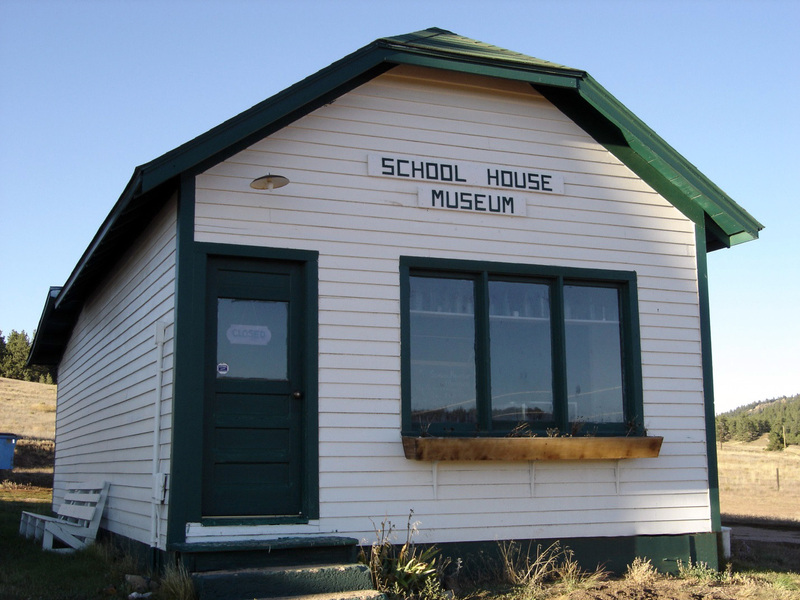 The Florissant Schoolhouse Museum is located at 2009 Teller County Road #31, at the intersection of Wildhorn and Teller County Road #31 in Florissant, Colorado.. It is open by appointment only. Please call 719-748-8257 for more information or to make an appointment. The original teacher’s residence (teacherage) was donated to Pikes Peak Historical Society (then operating as the Florissant Heritage Foundation) in July, 1992 by the Rampart Range School District. The teacherage was built sometime after 1907, and served as a residence for teachers at Florissant’s 1887 schoolhouse. Sometime in the early 1960s, when Florissant’s school closed, the building was moved to Woodland Park. It sat on the east side of what is currently the Woodland Park Cultural Center but formerly served as the Woodland Park Middle School. When the city began renovations of the Cultural Center, it was necessary to remove the teacherage, so it was donated to the Society at this time. In 1992, the Pikes Peak Historical Society returned this early 1900’s teacher’s residence from Woodland Park to its original foundation next to the 1887 schoolhouse. The Society then completely restored the building and it now houses the Society’s Florissant Schoolhouse Museum. This project is valued at over $40,000, and was accomplished entirely with donations of labor, money, and materials. 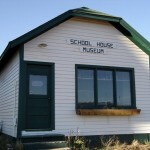 Now called the Florissant Schoolhouse Museum, the teacherage houses a vintage collection of 1800s school desks, books and other schoolhouse memorabilia. In addition, it is home to a beautiful collection of over 50 miniature historic buildings by well-known artist Ken Goehring. Goehring was born in Evansville, Wisconsin, and first came to Colorado Springs in 1948 to study at the Fine Arts Center Art School. He was a veteran and studied under the G.I. Bill of rights. Since then, Goehring has lived and painted in Colorado Springs where his abstract expressionist works have earned him a nationwide reputation and several prestigious awards. His work has been exhibited all over the country, in cities from San Francisco to Washington, D.C. and from Miami to Boston.